1. 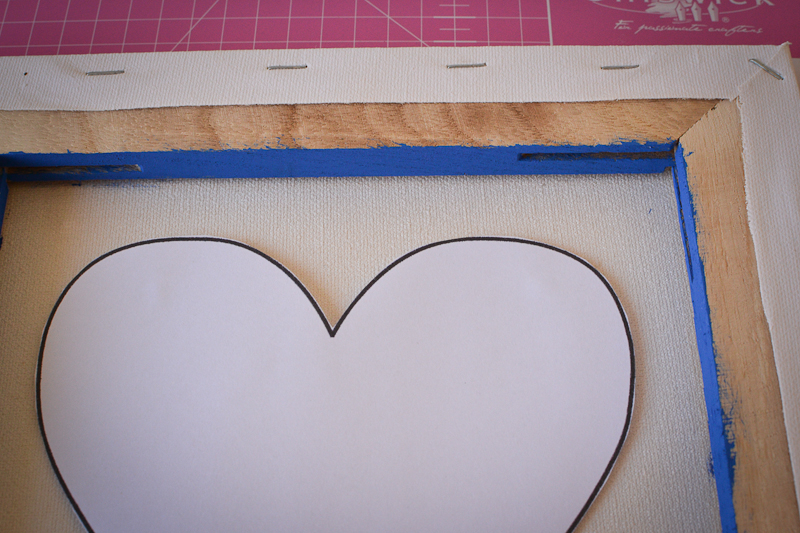 Cut out the heart template (or make you own template), and stick to the back of the canvas with prestick. 2. Trace around the outside of the template with a pen or pencil. 3. 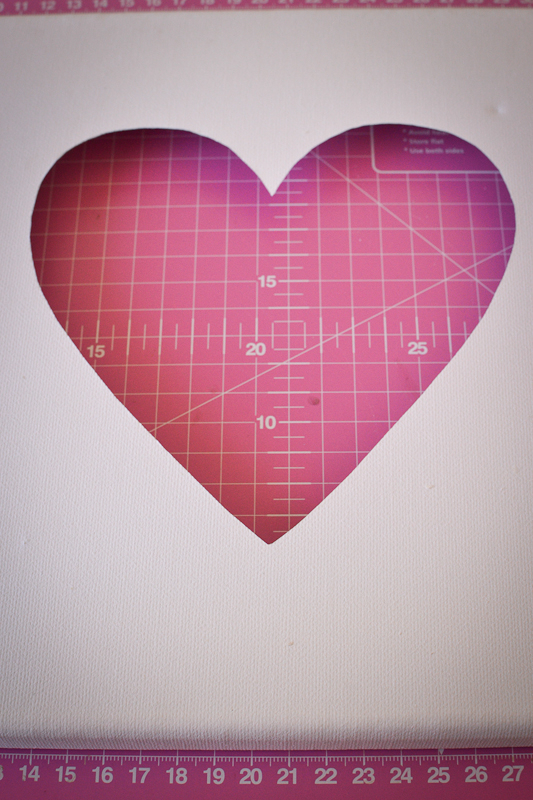 Use a craft knife to cut out the heart shape. 4. 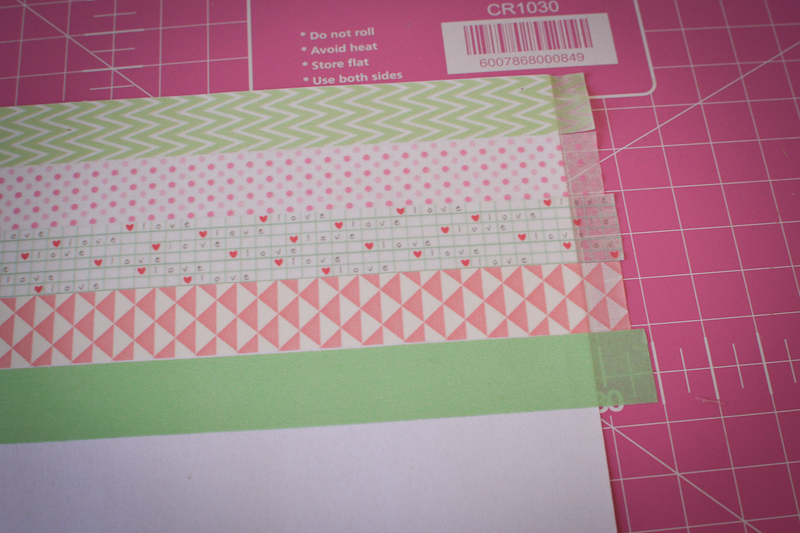 On another plain piece of paper or card, use strips of washi tape to create your desired pattern. 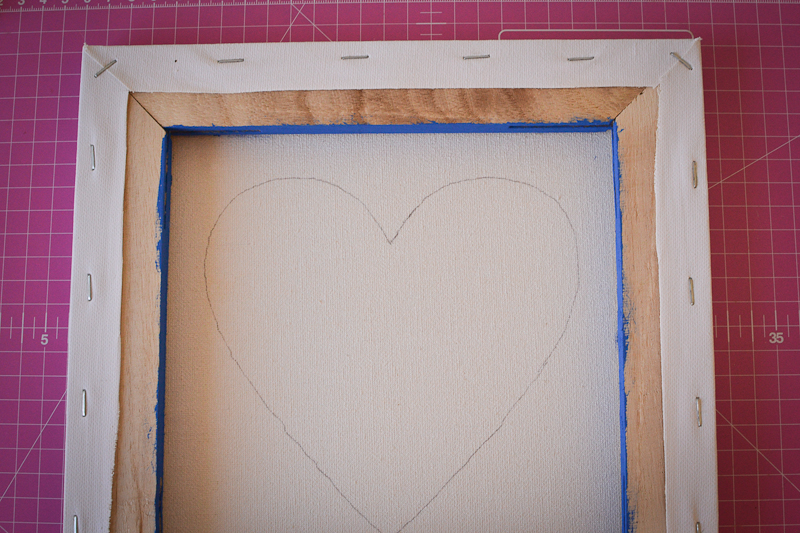 Cut the sheet of paper so that it’s slightly bigger than the inner edge of the wooden frame of the canvas. 5. 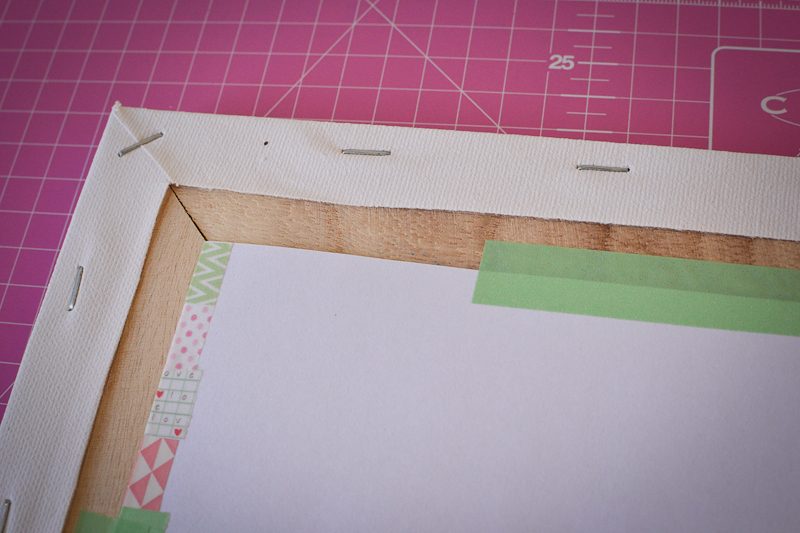 Use strips of washi tape to stick the sheet of paper to the back of the canvas frame. 6. 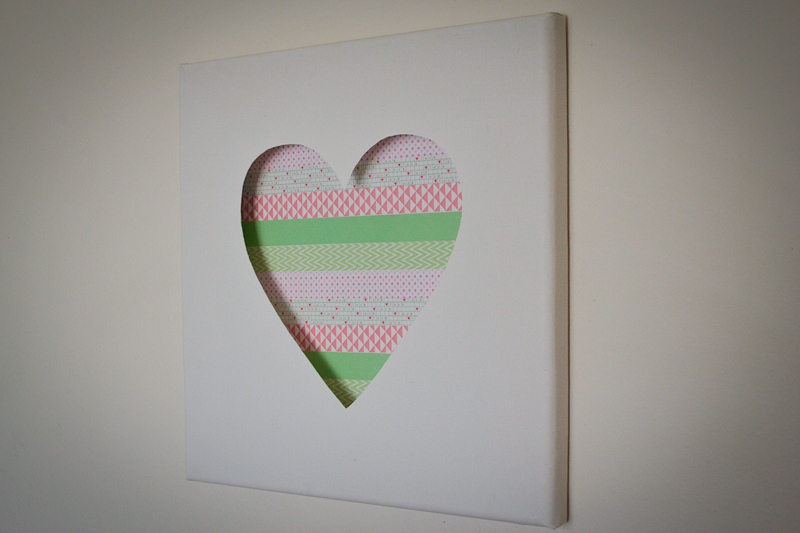 Turn the canvas over and admire your handiwork! 7. When you get tired of the design, just decorate a new sheet of paper. What do you think of this creative and cute decorating idea? Let us know by commenting below. This post was created by Dee from Things Dee Loves. 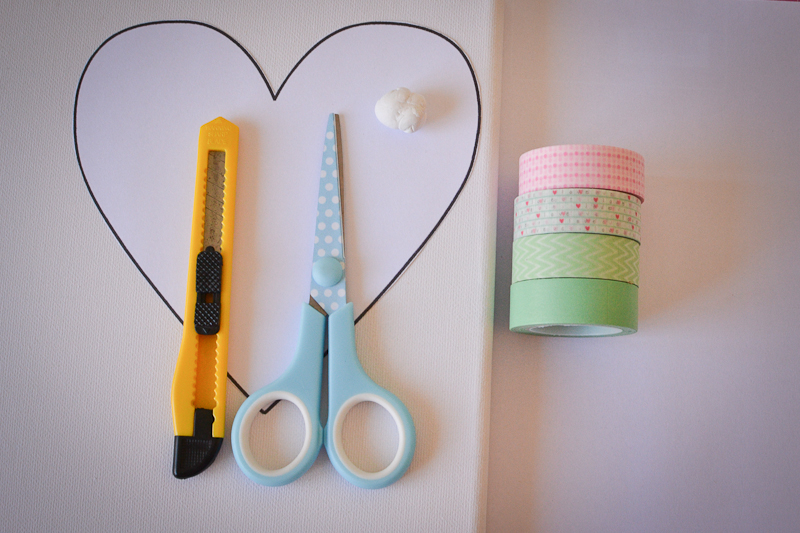 Check out her blog for more creative ideas and crafts.